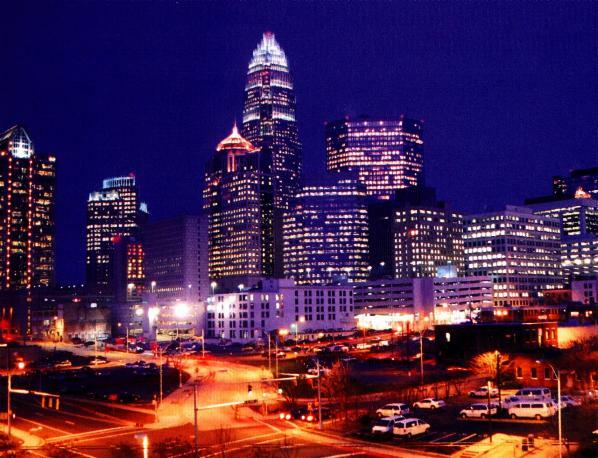 I wrote last week that I recently was in Charlotte for a number of meetings. They were arranged by Mac McCarley. Mac organized a dinner meeting with city managers from several surrounding communities—Statesville (Rob Hite), Cornelius (Anthony Roberts), Davidson (Leamon Brice), and Matthews (Hazen Blodgett). The Charlotte City Attorney’s Office was represented by Mac and Bob Hagemann (Senior Deputy), and we also were joined by Ruffin Hall, Charlotte’s Budget Director. This dinner was another opportunity to hear from local government managers about the challenges they are facing and how the School might be helpful. As with all of my other meetings with managers, I thanked them for paying their local government membership dues during this especially tough year. I learned that there was never any question about payment among this group of managers. They were surprised when I mentioned that one medium-sized city had decided not to pay their dues this year. The managers talked passionately about the value of our services—your good work—and they honestly couldn’t understand why a local unit would not pay their dues. I explained that the manager in question had laid off employees and made other hard decisions, and he couldn’t justify spending money on our membership dues. They looked at me across the table and said “So.” Once I told them that the manager recently had come from another state, they agreed that the person’s lack of experience with the School was the only possible explanation for his decision. This group of managers almost certainly will pay their dues next fiscal year, and they expressed a willingness to help persuade other managers who might consider not paying. The commitment of these managers to the School was wonderful to hear. It exists because they recognize your responsiveness to their needs and the value of your work. I will explore how I might effectively involve supportive managers in talking to newer managers who may not appreciate our work enough to pay their membership dues. Here are other pieces of our wide-ranging dinner conversation. They talked about their challenges in communicating effectively with the media on a range of issues. Two of the managers had participated in our Public Executive Leadership Academy (PELA) and they talked about how much they benefited from a one-day session on the media with Mark Weaver, a consultant from Ohio. The managers also talked about needing to understand more about the role of different kinds of social media—blogs, Facebook, Twitter, and whatever else may be coming down the road. How can they use technology to promote shared learning within their municipalities? How can they use it to engage their workforce? They praised our Coates Cannons blog and the ability to return to archived posts— it is hard to read it every day, however, and a couple indicated that daily posts are not necessary. This group of managers echoed the concerns about public unions that had been raised in my earlier visits. It was interesting to read in The New York Times on Saturday that for the first time in American history a majority of union members are government workers rather than private-sector employees. North Carolina is about to experience a trend that has been sweeping the rest of the country, and our local government managers (and elected officials) want help in responding. A few more threads of the conversation. One of the managers said that it was good that we decided to stop printing Popular Government, and the others quickly agreed. Rob Hite (Statesville) said that we should add faculty expertise in the law related to airports. More and more local governments need advice in this complicated area and there is no one to help them. I was surprised that there was so much agreement on this point. At least one manager extended this to include the need for greater help in the field of land use law. One manager expressed concern that North Carolina’s managers are becoming more disconnected from one another—for a variety of reasons it is harder for managers to attend meetings where they have connected in the past, and this problem is complicated by a major generational transition in the profession. Can the School do anything to help the managers remain connected and learn from their colleagues? Another manager pointed out that Tennessee’s Institute for Public Service has three regional offices and he wondered whether the School should explore something similar. He had been a coastal manager and felt like important issues were dramatically different from those facing managers in the mountains. Would it be possible for the School to have representatives in different regions that could work with managers on region-specific issues and facilitate their access to specialized help from the School and other places? The overwhelming message from this group of folks is that the School “is rock solid in what you do” and “we are grateful for what you do.” One manager summed it up nicely: “It is comforting for us to know that we are not alone out here. It is important to keep our special relationship with the School.” That relationship exists because you and your predecessors have responded to their needs in ways that are helpful. The feedback from this session and my other sessions will be shared with the Tough Times Training Committee and with the Dean’s Advisory Council as we think about how we can be most helpful in the future. In the meantime, how do you react to their comments? Another part of my visit to Charlotte included a tour of the NASCAR Hall of Fame, which is scheduled to open in spring 2010. They are finishing the interior and starting to create the exhibits. It will be very cool. 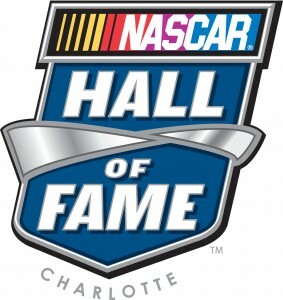 The Hall of Fame is connected physically to the Charlotte Convention Center and it includes a new ballroom that can seat 2400 people for dinner. The space is nearly finished and it is huge. The new ballroom gives Charlotte the capacity to compete for larger national conventions, which is one reason they are able to bid for the Democratic National Convention. I really like the idea of having some regional experts within the SOG, but am not sure that they have to be physically in the regions, given technology and our ability to get out there, and the costs of maintaining and office. Another alternative would be to have an office-less regional person who works out of their home but travels a lot to area destinations – perhaps attending and working with schools that take place in those regions – a sort of regional liaison. It would certainly help us understand what the local issues are, and it would allow us to communicate better to the far ends of the state – may also dramatically increase our ability to communicate/assist smaller units of government. But how does this fit with COGs? Thanks for the very informative post. Here are two additiona suggestions. Vickey Wade does an excellent job of keeping managers in western N.C. stay more connected, through quarterly (or bimonthly?) lunches and dinners with speakers. I’ve participated as has Carl Stenberg, and there may be other colleagues. She also maintains a western managers’ mailing list, wihch happens to be very handy for adverising our programs. My second suggestion has to do with regional offices. If you ever seriously consider this idea, I’d love to volunteer for the western office. Meg was born in Franklin, and we’d love to get back out there, now that our children are mostly grown. I’ve worked well I think with western officials over the years, and I’d appreciate a chance to expand that work. Just a thought.